If you’re not yet a member of the Velocity Frequent Flyer program, it’s time you signed up. Joining Velocity Frequent Flyer is free and it unlocks the ability to earn and redeem points. Read on to find out everything you need to know about signing up for this popular program. Plus, we’ll help you to discover the best ways to earn and burn Velocity Frequent Flyer points in 2019. Why join Velocity Frequent Flyer? Velocity Frequent Flyer is one of Australia’s most popular airline loyalty programs, now boasting over 8 million carded up members. And unlike membership of Qantas Frequent Flyer, which would normally set you back $99.50 (ouch! ), becoming a Velocity Frequent Flyer member won’t cost you a cent. If you fly regularly with Virgin Australia or one of their partner airlines, a Velocity Frequent Flyer membership is a no-brainer. It will unlock the ability to collect Velocity points and status credits on all your air travel. However, you don’t need to fly regularly to earn a stack of points – even those who aren’t regular travellers will find value in joining. Velocity Frequent Flyer points can be earned on every day purchases, by going to the gym and when filling up your car, just to name a few. Whichever way you look at it, a Velocity membership will enable you to earn and redeem Velocity points for a range of valuable rewards. How to join Velocity Frequent Flyer in 2019? It’s free and easy for anyone to obtain Velocity Frequent Flyer membership. You can access the joining form here. To sign up for free Velocity Frequent Flyer membership, simply complete the application form. You’ll need to provide basic information, including your name and date of birth, residential address, mobile phone and email details. You’ll also be asked to set a password and pin for security purposes. When will I receive my Velocity Frequent Flyer membership card? You’ll receive your Velocity Frequent Flyer membership number as soon as you’ve submitted the application form. This will allow you to start earning Velocity points and status credits straight away. You can expect your shiny, new Velocity membership card to be sent out to you via snail mail within 14 days. The most obvious way to earn points (and status credits) is to fly. Velocity members earn points on eligible flights with Virgin Australia and a range of airline partners which service over 600 destinations worldwide. You can find out more about earning Velocity points with Virgin Australia and partner airlines here. Velocity partners with a range of businesses, offering many ways to earn points when you shop – whether it’s everyday spend at the supermarket or bowser, or when splashing out online on a new pair of shoes. For example, you could earn points by filling up at BP service stations, visiting the dentist or even buying wine. You can also earn Velocity points when you shop at the Velocity eStore. The Velocity eStore is Velocity Frequent Flyer’s online shopping portal that enables you to earn Velocity Points when you shop. It boasts over 150 local and international online retailers. To earn points, you simply need to be logged into your Velocity account while shopping. A Velocity credit card can be one of the quickest ways to build up your points balance, allowing you to access rewards sooner. You could earn points on everyday spending and access bonus points on partner spending. Need more inspiration on ways to earn Velocity points without flying? We’ve previously covered some other ways to earn Velocity points here. You can also join Qantas Frequent Flyer for free here. Once you’re a carded up member of Velocity Frequent Flyer and you’ve earned a stack of points, it’s time to redeem them. And this is where savvy travellers in the know can unlock seriously lucrative rewards. There are a range of weird and wonderful ways that members can use Velocity points. Our top picks include redeeming points for flights in Virgin Australia’s ‘The Business” and using them to fly Singapore Airlines first class (amazing!). Alternatively, if you’re not so fussed about premium air travel, there’s also the opportunity to redeem Velocity points for merchandise, gift cards and more at the Velocity eStore. Velocity Frequent Flyer membership is fee free in 2019, so there’s really no excuse not to join if you’ve not already done so. And once you’re a carded up member, you’ll have access to a wide range of ways to earn and redeem Velocity points for rich rewards. 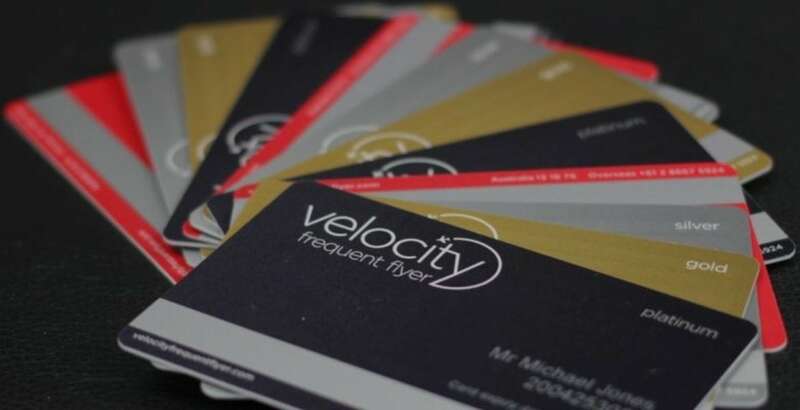 If you’re not yet a member of Velocity Frequent Flyer, what are you waiting for?